Just a couple weeks ago, what feels like half of campus takes off to Dallas, Texas for all the festivities that come with the famous TX-OU Red River Showdown. 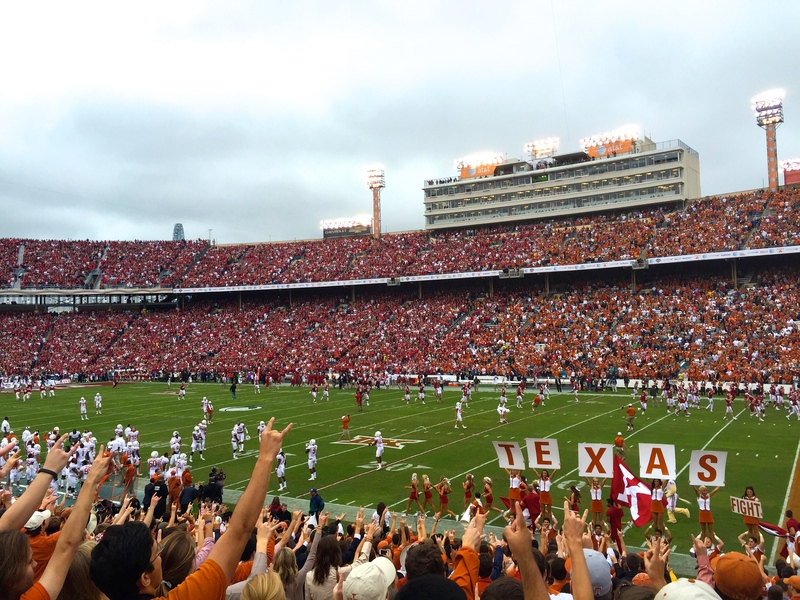 If you didn’t know, The University of Texas at Austin and The University of Oklahoma are major rivals when it comes to football and this tradition dates back to 1900. A sea of burnt orange and crimson take over the Cotton Bowl, and then immediately following the game, The State Fair of Texas. I seriously look forward to this all year because win or lose, the weekend is always a success because we get to stuff our faces with delicious food and run around The Midway (the fair section full of carnival rides) like children. My absolute favorite purchase(s) at the fair is always a Fletcher’s Corny Dog. These things are pure goodness and the line is always quite the feat to conquer, but 100% worth it every time. I’m always jealous of the little kids that share one and can make it last for so long, while I’m over here with nothing on the stick within just a few moments. 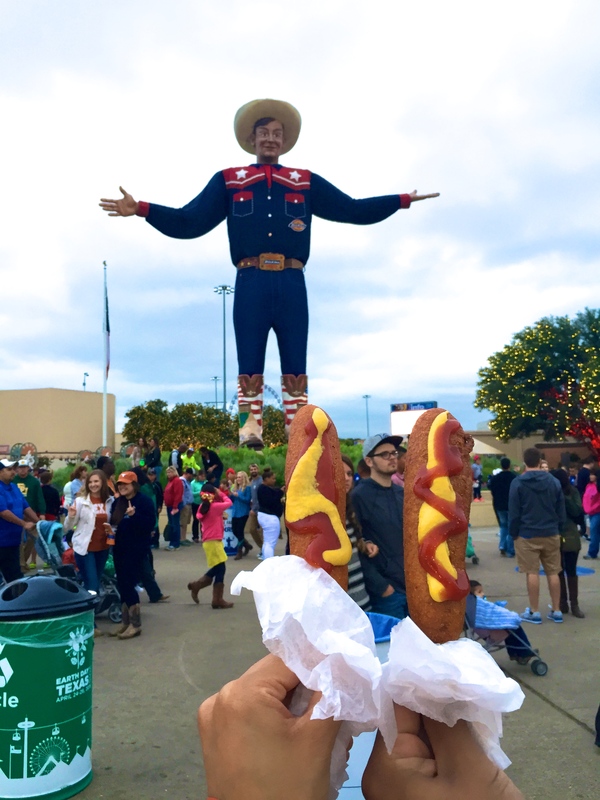 To Big Tex – the fair’s beloved mascot. The extensive list of yummy treats at the State Fair is updated every year. 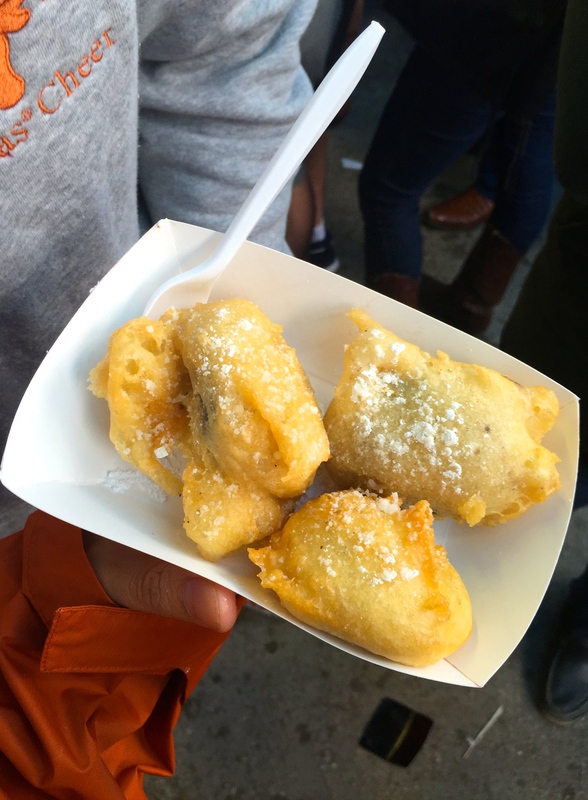 A consistent winner in everyone’s books though are the Fried Oreos. So sinful, but you just can’t leave without them. And I always share, so I tell myself it’s fine and that calories don’t matter for the weekend anyway. Unexpected chilly weather = lots of layers. Take 13 out of 100 probably. 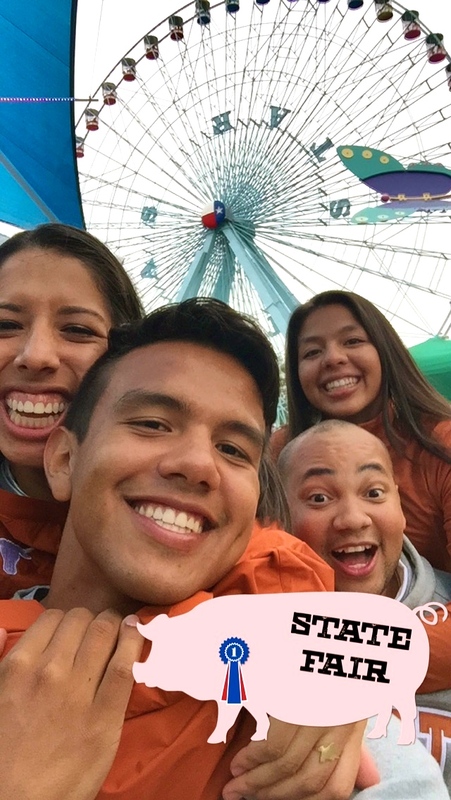 It’s hard to get a Farris Wheel, 4 people, and a pig into a picture. Although this year ended in a lost for our team, it was honestly one of my favorite games to attend in my four football seasons at UT. 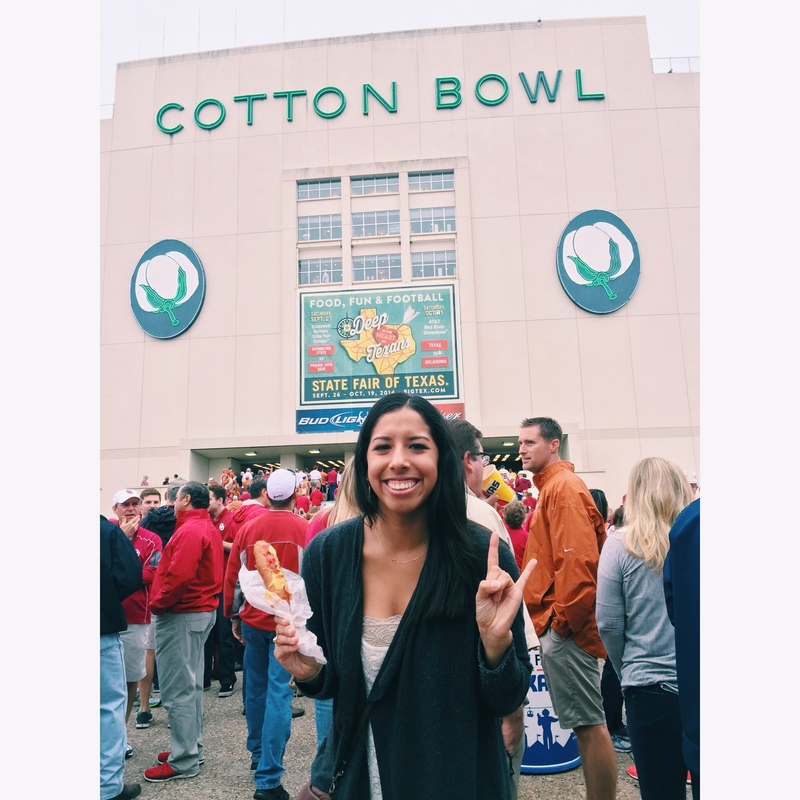 I hope I can continue to come back even after I graduate (*cue the tears*) to get the world’s finest corn dog. And to cheer on our boys of course! 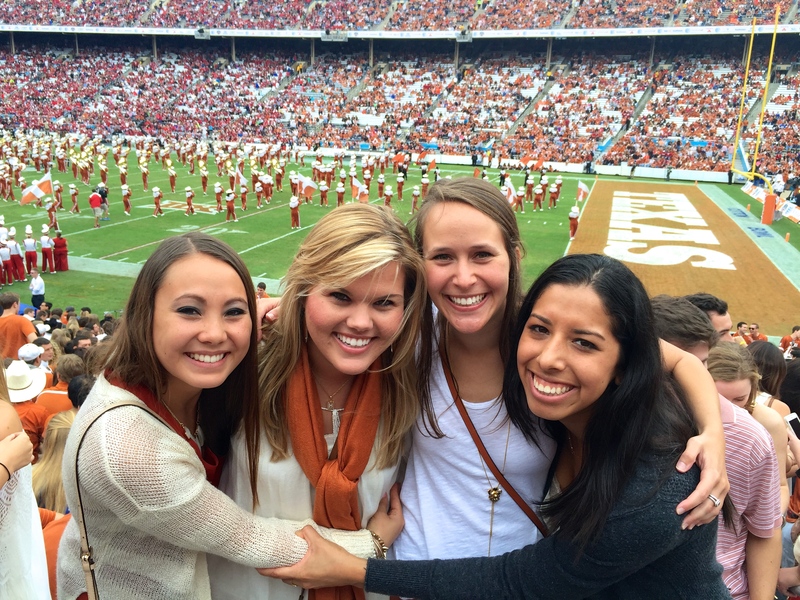 m/ As the song goes, thank God I was born a Texas Longhorn. If you’ve got your own favorite fair food, I want to hear it. Happy Wednesday friends!